Delta Airline flight 55, which left the Murtala Muhammed International Airport (MMIA), Lagos, about 10.50p.m., on Tuesday and heading to Atlanta, Georgia, in the United States of America, made an emergency landing at the Lagos airport less than an hour after its take-off having developed fault mid-air in one of its two engines. 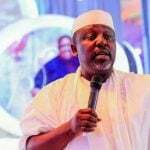 No life was, however, lost in the incident which created serious panic among airport and regulatory officials at the Lagos international airport. Delta Airlines, in a statement, however, said during the emergency evacuation which involved passengers exiting the aircraft through the emergency slides, five passengers sustained injuries. 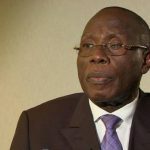 Part of the statement read: ‎”Delta flight 55 from Lagos, Nigeria to Atlanta returned to Lagos International Airport Tuesday after an issue with one of the Airbus A330-200’s two engines. “The flight landed safely and customers exited the aircraft on the runway via emergency slides. Airport fire authorities met the aircraft upon arrival. Delta’s customers were bussed back to the terminal. “Delta is aware of five customers reporting non-critical injuries as a result of the evacuation. “Delta teams have provided overnight hotel accommodations to customers and will re-book customers on an alternate Delta aircraft Wednesday afternoon. The safety of Delta’s customers and crew members is always our top priority,” the statement added. 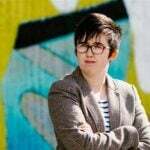 Northern Ireland police said that two men have been arrested over the killing of journalist Lyra McKee in the city of Londonderry, also known as Derry, on Thursday. The Minister of Information and Culture, Alhaji Lai Mohammed, says the Federal Executive Council (FEC) will hold its valedictory session on May 22. 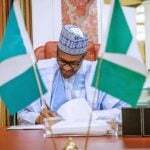 The Federal Executive Council (FEC) and the National Executive Council are to deliberate on the indiscriminate tree felling across the country with a view to taking a decision that will be binding on the 36 states and the Federal Capital Territory (FCT). 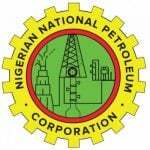 The Nigerian National Petroleum Corporation (NNPC) and its Exploration and Production subsidiary, Nigerian Petroleum Development Company Limited (NPDC), Thursday in Abuja, disclosed that they are set to unveil the largest LPG and Propane Storage and Dispensing facility in Oredo, Benin City, Edo State. 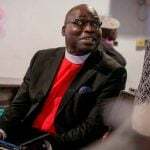 The Chairman, Independent Corrupt Practices and Other Related Offences Commission (ICPC), Prof. Bolaji Owasanoye, has said that the commission will support the Buhari administration in ridding the country of corruption. 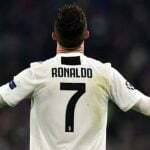 Cristiano Ronaldo has done it again! Different country, same result: a domestic title for the Portuguese superstar. 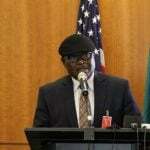 As the nation’s workforce continue to heave a sigh of relief following Presidential assent to 30,000 Naira minimum wage bill, state governors have been urged to sustain the tempo. The 17-year-old will arrive at the club in the summer after the Gunners struck a deal with his current club Ituano FC.